TSTRANSCO JLM Result 2018: Telangana Corporation of Telangana Limited has successfully completed the Junior Lineman (JLM) examination on 11th February, 2018 across the state. Many of the aspirants seeking for TSTRANSCO Junior Lineman posts have appeared for the examination with great determination. The TSTRANSCO has already released the final answer key for Junior Lineman examination. All the competitors have checked the answer keys and estimated the probable score. Aspirants are now keen to check the result of TS transco JLM. The TSTRANSCO Junior Lineman result 2018 will be shortly accessible on the official website, tstransco.cgg.gov.in. Candidates can also check the cutoff marks, merit list at the time of result announcement. Check more details from the following article. 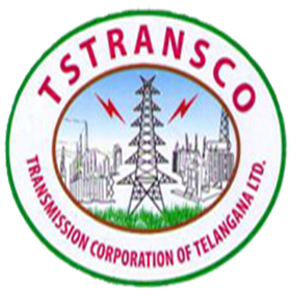 The Telangana State TRANSCO has released the notification for 1100 Junior Lineman (JLM) posts. Huge number candidates have applied for Telangana JLM posts from 4th January to 20th January 2018. Aspirants seeking for TSTRANSCO JLM posts have applied in thousands. Almost all the candidates have appeared for the TSTRANSCO JLM examination with a great determination to shortlist for further rounds. Candidates appeared for the examination can check TSTRANSCO JLM results shortly. The TRANSCO is going to announce the results within 3-4 weeks after the examination. Tentatively, the TSTRANSCO is likely to announce Junior Lineman results in the 1st week of March 2018. Hence candidates taken the examination can stay checking the TSTRANSCO official website, tstransco.cgg.gov.in to download the results. The website is going to provide time to time updates regarding the results, merit list and cutoff marks. (iv) The candidate who does not pass the Pole / Tower Climbing test shall be rejected. The TSTRANSCO will announce the Telangana Junior Lineman cutoff marks 2018 at the time of result announcement. Aspirants qualifying with more than the announced cutoff marks are said to be qualified in the test. The TSTRANSCO will also release the merit list of selected aspirants. Further details of appointment letter etc will be mentioned on TSTRANSCO official portal. Follow the portal regularly to get the latest updates from the board. cgg.gov.in – is the official portal to check Junior Lineman results. On the homepage “TSTRANSCO Junior Lineman Result 2018” Link appears; click on it. The TSTRANSCO JLM Result gets downloaded. Check the Result and Take a print out of it is required to check further. I got 36marks sc from sangareddy. I didnt got any call letter..